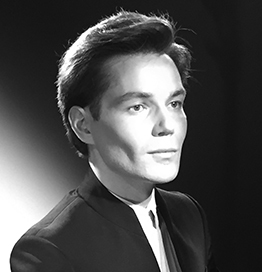 Oleg Kafarov spent his early career as a television presenter and successfully was promoted to executive management positions in marketing communications with NTV, Russia’s leading independent TV channel. In 2004, he joined Jumeirah to focus on brand development, working closely with the Group CEO, as the company grew its international presence from two to 11 destinations. In 2011, he was appointed Director of Public Affairs of the group to pursue diversification of the brand portfolio and helped to put Jumeirah at the forefront of the most famous brands in the luxury sector, as well as evolve it into one of the strongest and most respected voices within the industry. In 2018, he was appointed Vice President – Marketing and Public Relations of the Emerald Palace Group, which includes a number of landmark properties in operation and under development (managed by Kempinski). A recognised luxury and travel connoisseur, he contributes to several prestigious lifestyle publications internationally. Since 2015, he has been a columnist at Condé Nast Traveller as well as the definitive Gostelow Report market intelligence for the luxury hotel sector worldwide. He is a graduate of Moscow State University of International Relations and of The Emirates Academy of Hospitality Management.